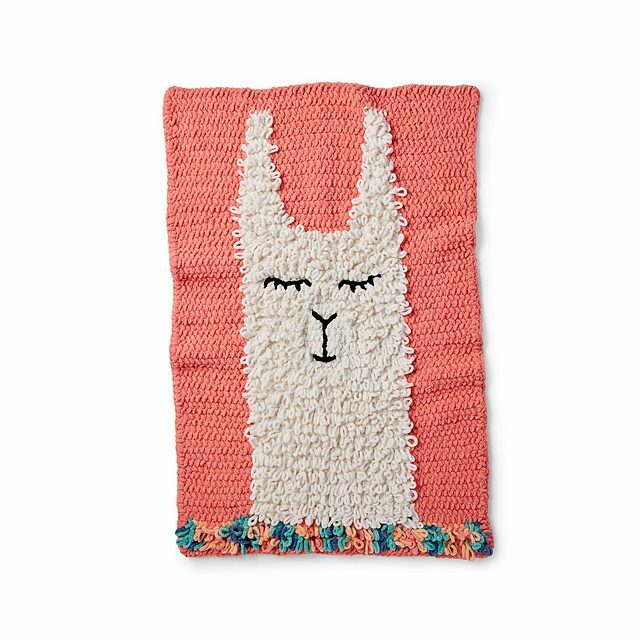 A wonderful children’s blanket with a cheerful lama motif. The blanket has an amazing texture. It’s made of loop stitch. It’s a free pattern. You can download it safely from the link under the article. You’re gonna spend a lot of cool moments with this pattern. 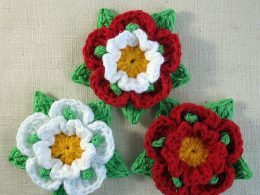 In the tutorial you will find a detailed instruction manual that will help you to create this pattern step by step. 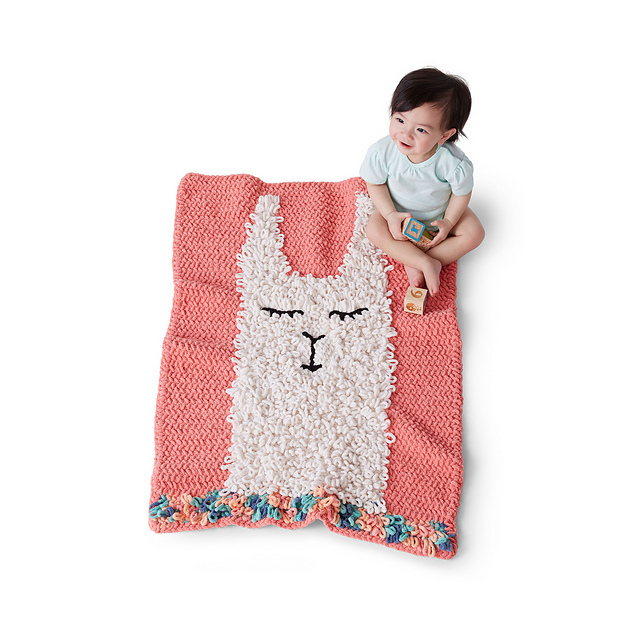 Use Bernat Baby Blanket (Polyester) to create it. It is ideal for this type of pattern.